The 17th Annual Aruba Soul Beach Music Festival is coming up fast, scheduled for this upcoming Memorial Day weekend, May 24-29, 2017. Get your tickets now, while you can still take advantage of the festival’s early bird discount. 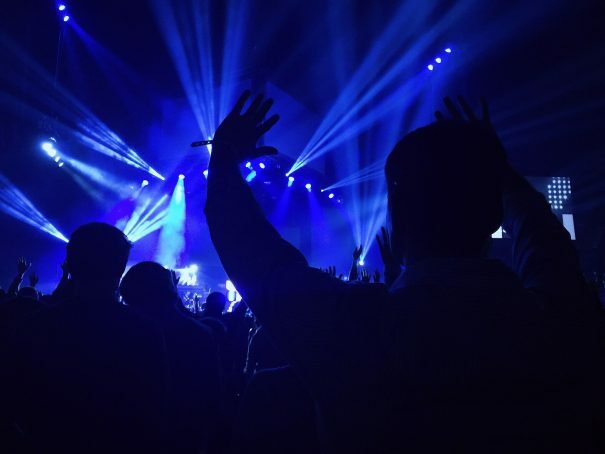 This year’s headlining artists were recently announced, and they are show-stoppers: Mary J. Blige, Usher and the Roots. Enjoy a long weekend of incredible world-class R & B, sophisticated fun, tropical vistas and legendary, sultry beach parties. 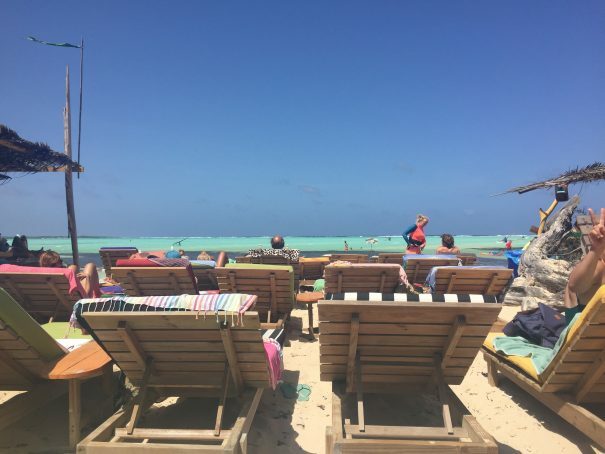 Most of the action takes place a short walk away from two of Divi Resorts’ stunning Aruba properties: Divi Dutch Village Beach Resort and Divi Village Golf & Beach Resort. 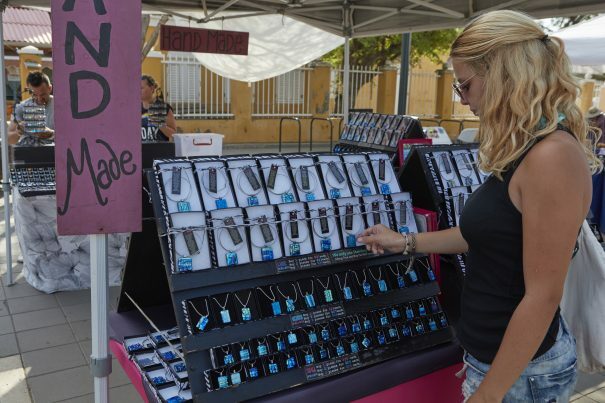 They’re offering early bird special rates to festival-goers who book their rooms now. A third Divi property, Divi Aruba Phoenix Beach Resort, is also near the festival and offering early bird special rates. Don’t forget to enter this contest awarding free tickets to the festival (click the link and scroll down for details). The first prize is a VIP package to Soul Beach, including 2 Friday General Admission Comedy Show Tickets at the Renaissance Festival Plaza, 2 Saturday & Sunday General Admission Concert Tickets with 4 Gold Area Entry Passes at the Harbor Arena (2 Saturday/2 Sunday) plus 2 Party Pass Packages (total of 5 entries per person into 5 official Soul Beach Music Festival After Parties) with express entry access, in addition to a bonus package including 2 Friday General Admission Comedy Show Tickets at the Renaissance Festival Plaza and 2 Saturday and Sunday General Admission Concert Tickets. The second prize includes 2 Friday General Admission Comedy Show Tickets at the Renaissance Festival Plaza and 2 Saturday and Sunday General Admission Concert Tickets with 4 Gold Area Entry Passes at the Harbor Arena (2 Saturday/2 Sunday). The third prize includes 2 Three-Night General Admission ticket packages for the Friday Comedy Show at the Renaissance Festival Plaza and Saturday and Sunday General Admission Concert Tickets at the Harbor Arena. You can find more information, enter the ticket giveaway contest and check availability on rooms at www.diviresorts.com/aruba-soul-beach-2017.htm. Visit the 2017 Aruba Soul Beach Music Festival online at www.soulbeach.net. 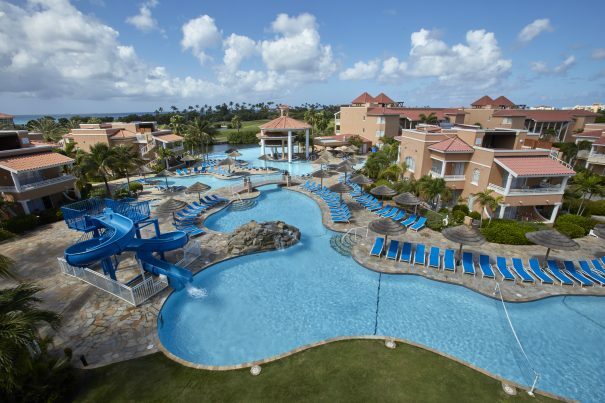 *All-inclusive rates are based on double room occupancy. 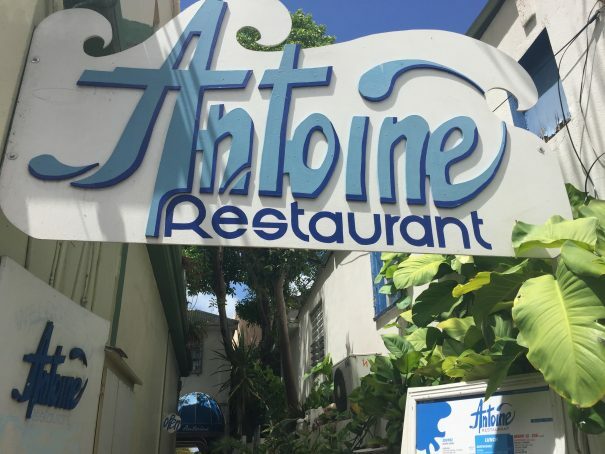 You might visit Antoine Restaurant in downtown Philipsburg, St. Maarten as part of your culinary adventure. Gourmands often call St. Maarten “the culinary capital of the Caribbean.” French and Dutch influences merge with Caribbean flavor to create a cuisine unlike any other. Chefs and foodies flock to the small island to taste the amazing variety to be had within its 34 square miles. Hi there! St. Maarten is world-famous for its consistently high level of cuisine. Visiting the island without eating your way around it would be a grave mistake, if you ask me. If you have just a few hours to burn—or if you’re looking to add some excitement to a leisurely vacation—I recommend taking a culinary tour with Flavors of St. Martin Food Tours. They’re one of the best ways to experience the full range of what St. Maarten has to offer, since their signature 4.5-hour tour takes you through the French side as well as the Dutch side of the island. We began our journey at the Amsterdam Cheese & Liquor Store in Philipsburg, a short taxi ride away from Divi Little Bay on the other side of Great Bay. The owners of the shop, two brothers from the Netherlands, treated our small group of five to a tasting of some of their finest cheeses. We sampled Gouda at various ages and paired it with a range of jellies and jams. 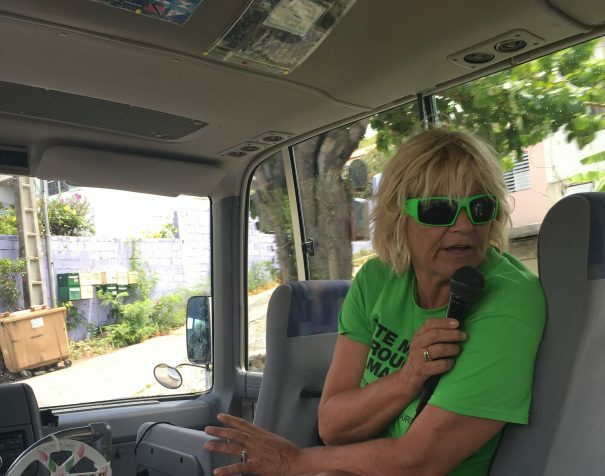 Then we piled into an air-conditioned bus with our tour guide, Ankie, an outgoing local with an encyclopedic knowledge of the island and its food. She narrated our entire experience with warmth and a wry sense of humor. In Philipsburg, we stopped at Antoine Restaurant—notable for being a French restaurant on the Dutch side of the island—and sampled classic French fare like escargots and vichyssoise. Then we walked a short distance to Ma Doudou Rum Shop and tasted St. Maarten’s famous guavaberry liqueur, an island staple. It’s the perfect addition to a sweet cocktail. The view from Sky’s the Limit in Grand Case, St. Martin. If you look closely, you can see the neighboring island Anguilla. Soon it was time to get back in the bus and head to the French side of the island. Ankie kept us entertained until we reached Grand Case, a beautiful town on the north shore. (One of the typical stops on the tour, the creperie Paradise View, was closed for the day.) We stopped near the famous “lolos” of Grand Case, a section of small beachfront shacks serving out-of-this-world food. We tasted island barbecue from a lolo called Sky’s the Limit, eating at picnic tables with the smell of smoked meat wafting through the air. For someone like myself with a great love for barbecue, it was a complete delight. Another highlight of the tour was the Carousel Gelateria near Simpson Bay, back on the Dutch side of the island and finishing off the tour. 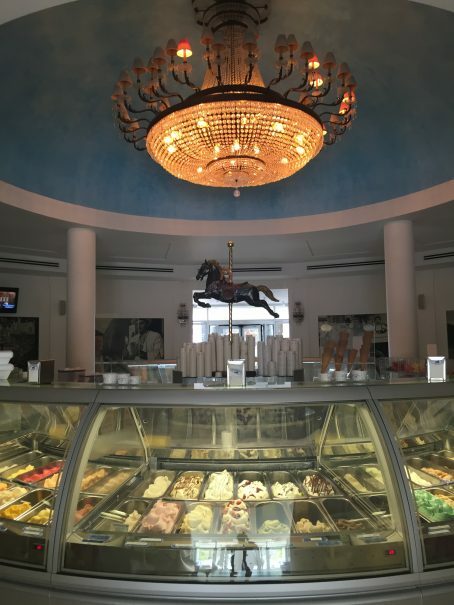 The gelateria offers dozens of flavors of gelato from plain to exotic—including guavaberry. It also has, yes, a fully operational carousel. The owner of the gelateria, Diego from Italy, switched it on and we sat astride the colorful circus horses as we finished our gelato. If you’re interested in booking this foodie adventure for yourself, it’s easy. Reserve a spot in the next tour online at www.stmartinfoodtours.com or call 855-543-9849 (international callers, dial +52-55-4170-7517). 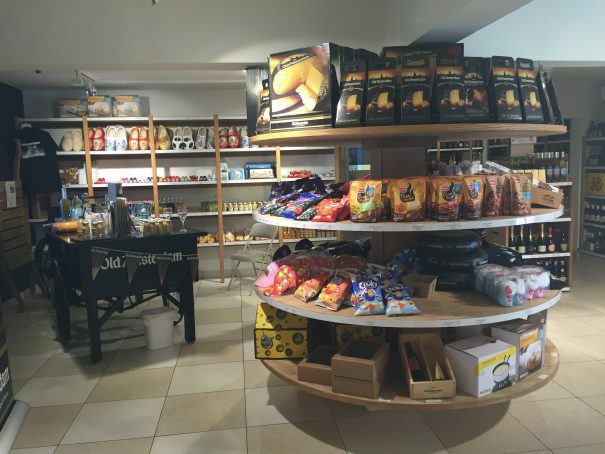 They serve enough food during the tour to make you comfortably full, so it’s not necessary to eat a meal beforehand. They can also accommodate many dietary restrictions with advanced notice. Bon appetit! Bonaire is world-famous for its stunning dive sites, but that doesn’t mean you’ll spend your entire vacation in your scuba gear. 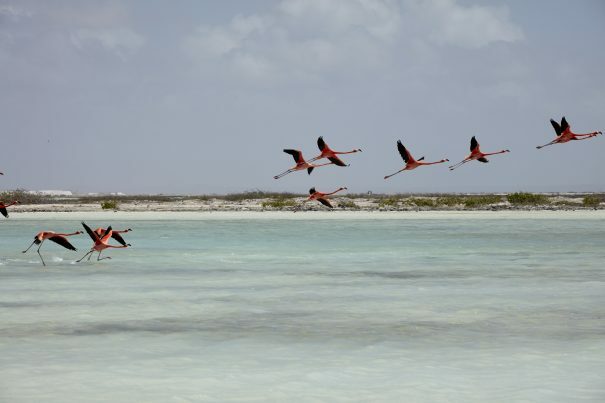 What is there to see and do above sea level on Bonaire? We have a few suggestions! Kralendijk is the quaint capital city of Bonaire. We use the term “city” loosely—in fact, the town of Kralendijk is just a few blocks across. It’s an easy few minutes’ walk from Divi Flamingo Beach Resort & Casino. Explore the dozens of small shops and cozy local restaurants here in a place that feels authentically Caribbean. The southern end of Bonaire is home to vast solar salt farms. 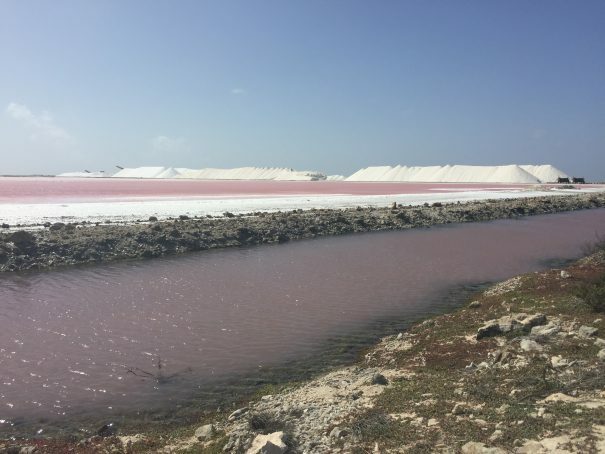 Sea water is channeled into man-made ponds and sealed off, and as the water slowly evaporates, the high salt content naturally turns the remaining water a bright pink. 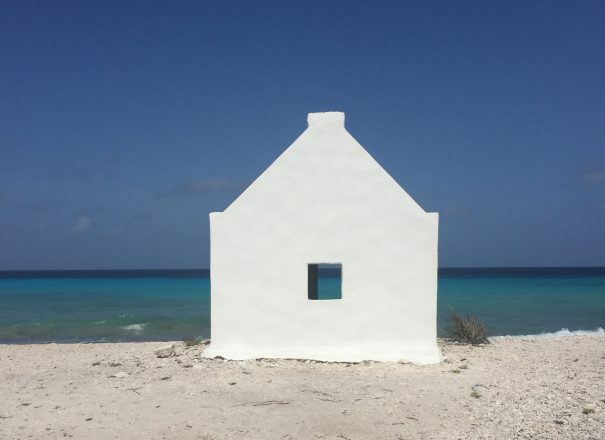 At some points, you’ll see pinkish-purple water on one side of the road and Bonaire’s vivid turquoise ocean on the other. Rent a car and drive down to experience this otherworldly sight. Jibe City is a tiny outpost on Lac Bay on the southeastern side of the island. The bay stays shallow almost as far as the eye can see, making it possible to walk straight out to sea for as long as half an hour without ever getting in above your waist. The more common activity at Jibe City, though, is windsurfing. The area counts among one of the top windsurfing locations in the world. Rent your windsurfing equipment from the small shack onsite, or take the lessons offered for all levels. 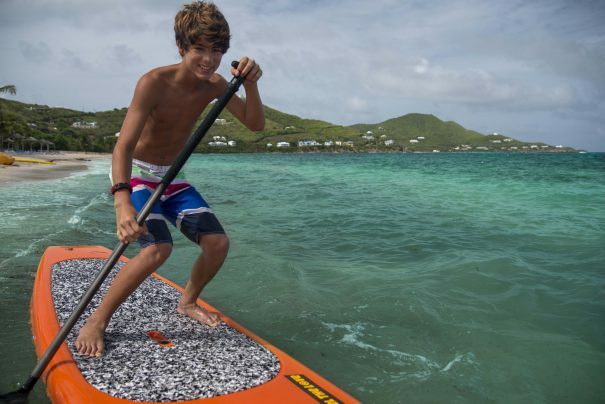 You can also rent stand-up paddleboards if you want to explore the area on your own terms. After a long day on the water at Jibe City, visit the nearby shop for Jibe City souvenirs and surfing equipment, stretch out on one of the chaise lounges or relax at the Hang-Out Bar with a cold drink and the sandwich special of the day. Bonaire has been inhabited for almost 1000 years, when the Arawak tribe first migrated to the island. 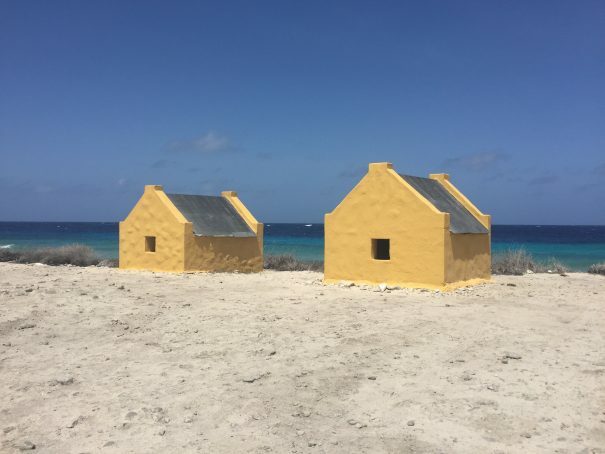 The origins of Bonaire as we know it today can be traced back to the 1500s, when it first became a Spanish colony. Ownership eventually transferred to the Dutch West India Company, and the island became a salt plantation where many people were enslaved. In the 1850s, slaves built their own quarters near the salt pans, to the specifications of the company. The tiny huts served as their sleeping place during the week. On the weekends, they walked seven hours to the inland town of Rincon to visit their families. The huts still stand today as a somber reminder of the island’s history. Cadushy Distillery, located in Rincon, is the only distillery on the island of Bonaire. 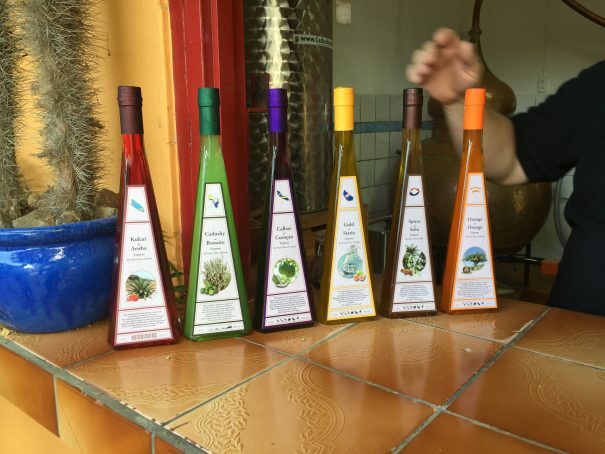 It’s created a different type of specialty liqueur for each of six islands in the Dutch Caribbean. Cadushy also makes its own varieties of rum, vodka and whiskey. Sign up for a tasting and learn first-hand how the spirits are produced. Eric Gietman, a Dutch native, founded the distillery with his wife Jolande in 2009. They decided to move to Bonaire after more than 20 years of visiting the island, and soon realized that the local cadushy cactus could be used to develop a liqueur. This recipe became Cadushy of Bonaire, a cactus liqueur with a cooling lime taste and the first in the distillery’s Island Liqueurs line. Itching to explore Bonaire both above and below the water? Stay at Divi Flamingo Beach Resort & Casino and take scuba diving classes with Divi Dive Bonaire, a five-star PADI dive center. Bon bini na Bonaire! St. Croix, as well as the other U.S. Virgin Islands, are commemorating a special date this year—the 100th anniversary of “Transfer Day,” when Denmark sold the islands to the U.S.
To celebrate this landmark event, the U.S. Virgin Islands are giving visitors a $300 voucher to be used on “Historical/Cultural Tours and Activities.” This can be redeemed at participating hotels, including Divi Carina Bay All-Inclusive Beach Resort on St. Croix. 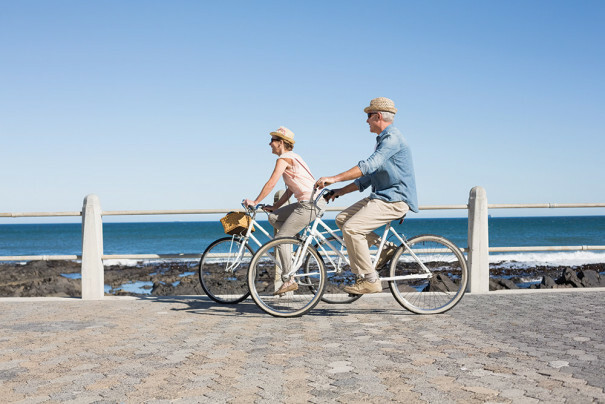 There are a couple of stipulations, but they should be easy to meet: you need to book your trip by October 1, 2017 for travel during the 2017 calendar year, and you must stay for a minimum of three nights. Basically, this means you’ll be paid to travel to St. Croix in 2017. St. Croix is already one of the easiest and most budget-friendly Caribbean islands to visit, since U.S. citizens don’t need a passport and airfare often runs about $300 round-trip from many cities on the East Coast. With the $300 voucher, you could essentially be reimbursed for airfare. For details on the voucher promotion, visit the U.S. Virgin Islands tourism site.